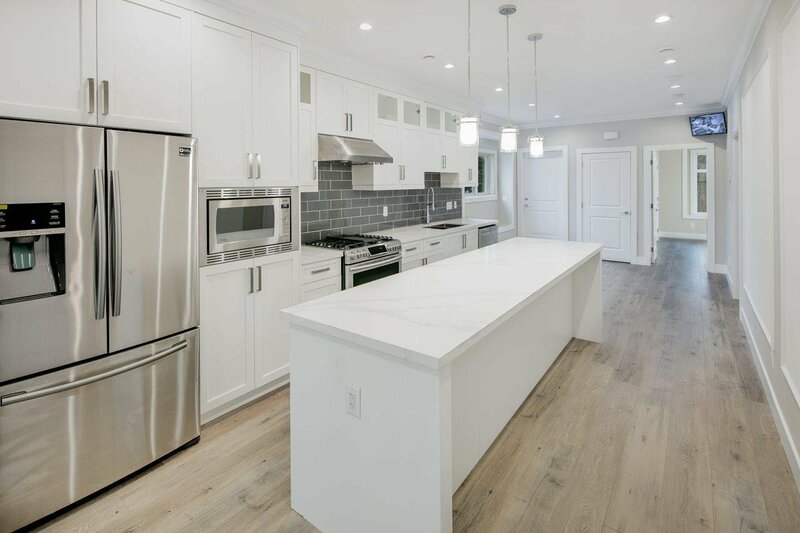 11600 Williams Road, Richmond - 6 beds, 5 baths - For Sale Eric Ho & Michelle Ao - Nu Stream Realty Inc.
Gorgeous new home in Richmond with practical floor plan and affordable price range. Features 6 Bedrooms and 5 Bath. 3 Bedrooms and 3 Bathrooms on Main floor. Huge Living and Dining Areas. Deck at the front with Views. Custom Kitchen with Branded St. Steel Appliances. Huge Kitchen Island. Radiant In-floor heating throughout. Laminate wood flooring. 2 Bedroom Legal Rental Suite on the lower floor. Another bedroom and full bath on lower floor. 2 Car Attached Garage. Plenty of parking. This is the best new home you can buy in this price range. Come visit the best new home in Richmond today.